The RJ45 security key easily unlocks the connected Cat6 cable from a secured keystone jack, coupler, and surface mount box. Dual purpose security key releases and unlocks security bar. Metal (SPCC) with PVC Molded Grip. JCK-6-UL-WHITE Keystone Jack with Lock. JCK-6-UL-WHITE-SHLD Shielded Keystone Jack with Lock. 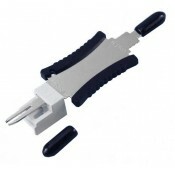 RJ45-6-FFL-WHITE RJ45 Inline Coupler with Lock. 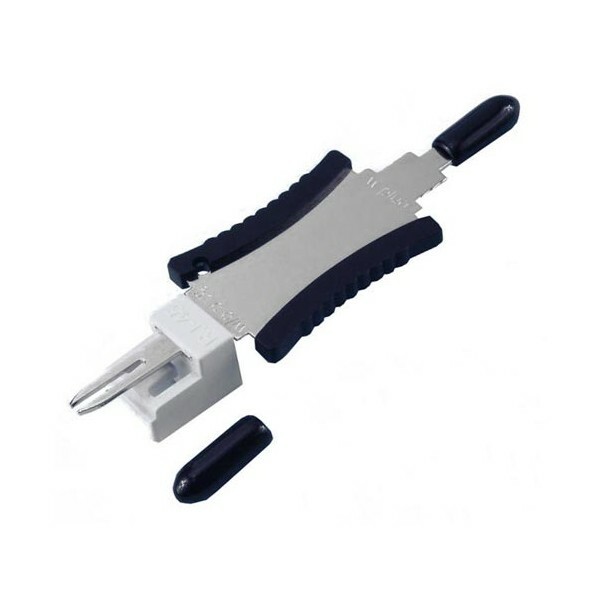 RJ45-6-FFL-WHITE-SHLD CAT6 RJ45 Shielded Inline Coupler with Lock. BOX-SM6-WL-2L CAT6 Surface Mount Box with Lock. BOX-SM6-WL-2L-SHLD CAT6 Shielded Surface Mount Box with Lock. Includes protective covers for ends of key when not in use.